Earlier today, Gavin ‘The Rock’ Rees (37-4-1, 18KO) issued a statement through Matchroom Sport to announce that he will retire after his May 17th rematch with Gary Buckland (28-3, 9KO). 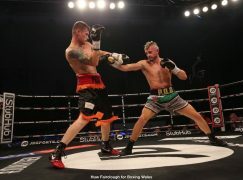 The pair are set to lock horns again at Cardiff’s Motorpoint Arena in a repeat of their Fight of the Year candidate from earlier this year and win, lose or draw – it’ll be the last fight of Rees’ career that has included WBA world, European, British and Prizefighter title wins. 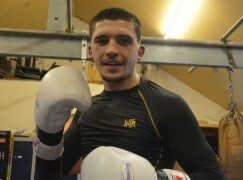 “I will leave everything I have in the ring on May 17 and I am proud of everything I have achieved. 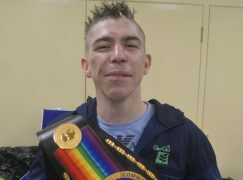 Winning a World title was a dream come true and of course all British fighters want to win the British title and claiming that for the first time in 2010 was a huge honour. “My trainer Gary Lockett has done a brilliant job getting me through training camps in the last few years but I can’t keep doing it. I’ve had a fair few injuries and they are catching up with me, but I’ve still got a great fight left in me and I plan to empty everything left in me out in Cardiff and put on a real show for the fans who have been great to me. “The first fight was a classic and you couldn’t argue with the decision going either way. Of course I thought I did enough to get it but there were no complaints. Gary is a fantastic fighter and you know what you are going to get with us – all-action for 12 rounds.